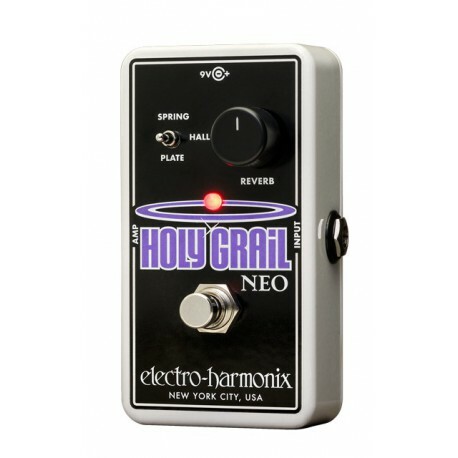 Ultra pedalboard-friendly stompbox that includes plate reverb. Divine Hall and classic Spring reverbs complete the heavenly mix and give you three of the most sought after reverb styles. The three-position switch lets you choose and the Reverb knob acts as a wet/dry control. 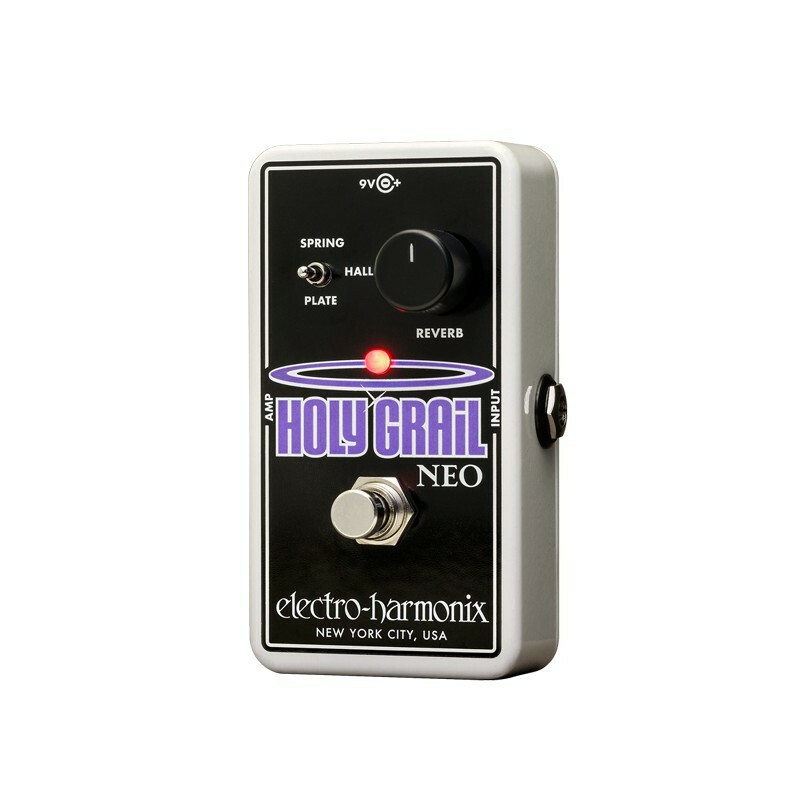 Equipped with True Bypass to ensure maximum signal path integrity when the effect is in bypass mode and comes with a standard EHX9.6DC power supply.